Deborah Dogba is a Business & Organizational Strategist with a history of helping entrepreneurs, businesses and communities improve, grow and succeed. 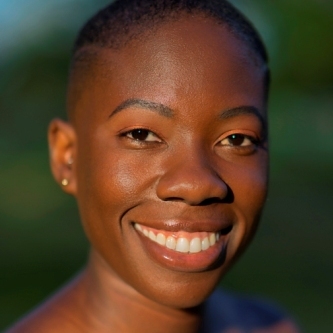 Born and raised in Togo (West Africa), she has traveled extensively and brings a unique and global perspective to leadership, business and entrepreneurship. Deborah brings over 15 years of extensive experience with program expansion & development, process improvement as well as capacity building, and organization positioning both in government and private sector. As the Operations Director of the Leadership Africa Summit 2018 and 2019 (LAS 2019 will be on April 13, 2019), Deborah oversees the production of the Summit and the management of logistics, hospitality, and volunteers’ chairs. 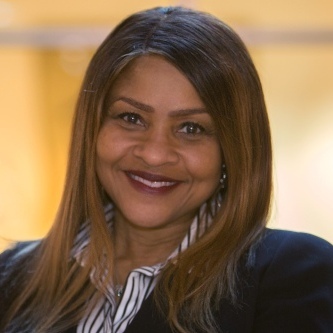 As a seasoned mentor, through the Summit, Deborah helps young professionals, leaders, and entrepreneurs connect, become empowered, develop and promote themselves. Lead Consultant and Founder of Business Seals Consulting Firm LLC, on a mission to empower, train, support, and bring viable solutions to businesses and entrepreneurs. She has a BS in Organizational Psychology and a BS in Business Administration, Banking and Financial Markets. She uses her leadership skills to serve on the board of Le Jardin Familial – a nonprofit that focuses on families’ wellbeing and harmony. As a successful entrepreneur, Deborah owns Talents of Africa in the Midwest – an organization that promotes the artwork and handmade crafts of women from remote areas in Africa. Alongside her son, Deborah co-founded ND Kicks, a basketball shoe design concept that aims at improving the performance of players. Deborah also served as a Peace Corps Volunteer in Senegal, West Africa (2011-2014) where she had the opportunity to promote local businesses and women associations through capacity building, financial literacy, and entrepreneurship classes. When she’s not busy helping entrepreneurs succeed, you can find her volunteering and doing community work at Do Space, Essential Pregnancy Services (EPS), and RISE (the previous Defy Nebraska) in her current home city of Omaha.